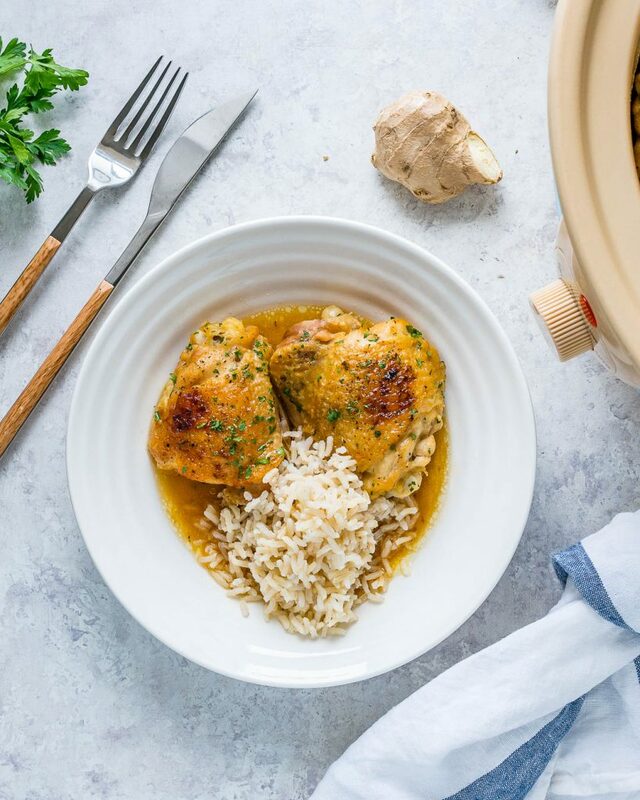 Easy Slow Cooker Honey-Garlic Chicken for Clean Eating Success! 1 Tbsp avocado oil, coconut oil, or olive oil. 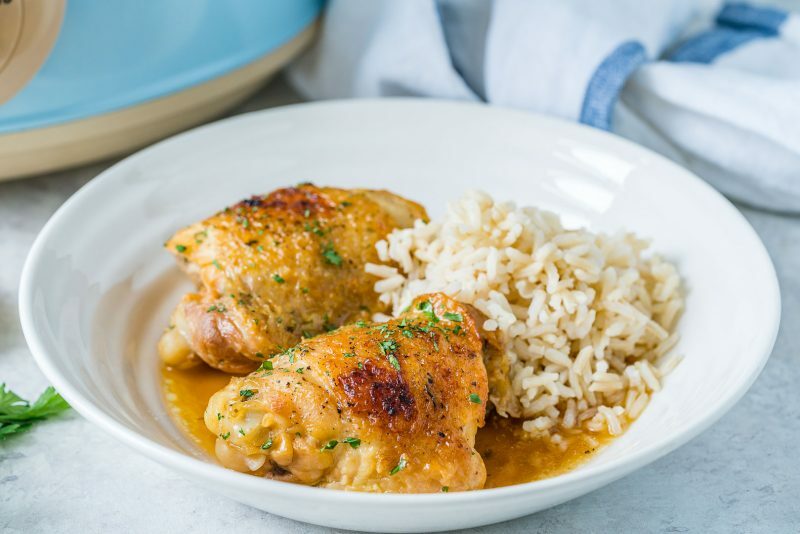 Preheat a skillet over med-hi heat. Add in 1 Tbsp oil and chicken thighs skin side down. Brown nicely for about 2-3 minutes, per side. 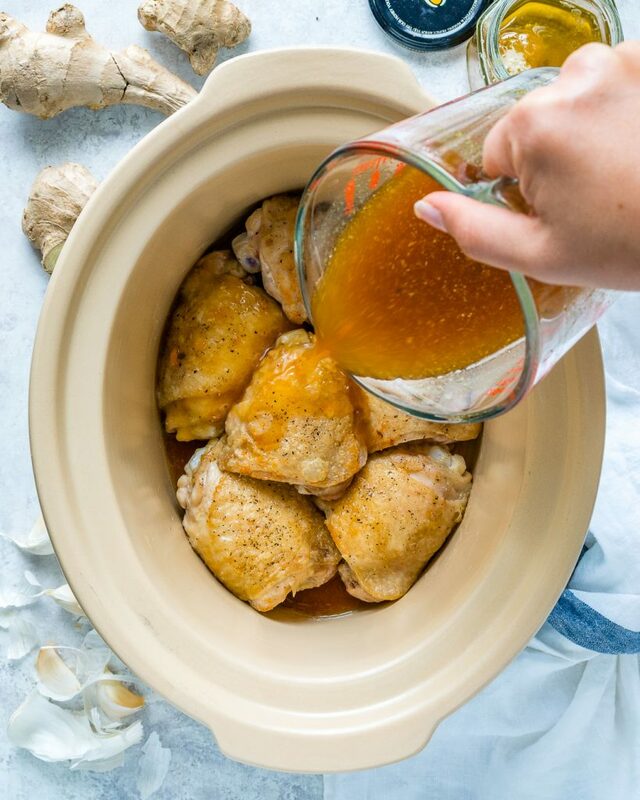 In a small bowl, whisk broth, coconut aminos, fresh ginger, honey and garlic. 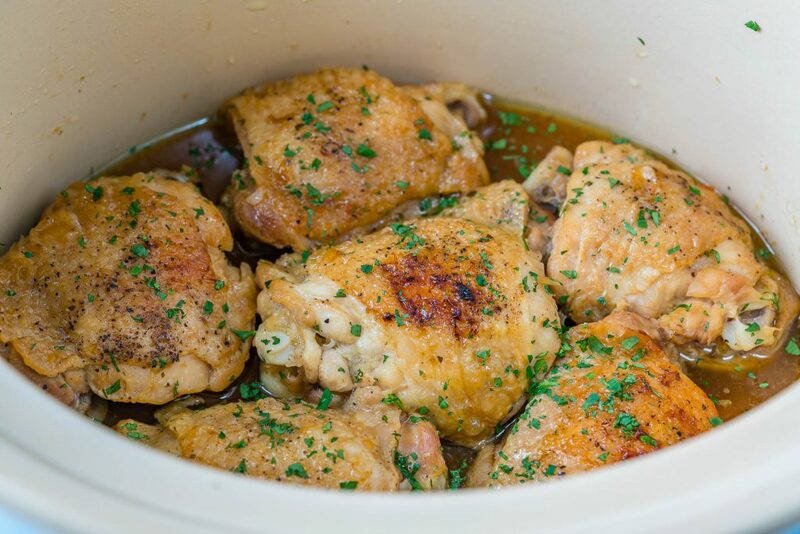 Place the chicken thighs (skin side up) in the slow cooker and pour sauce over the honey garlic mixture. 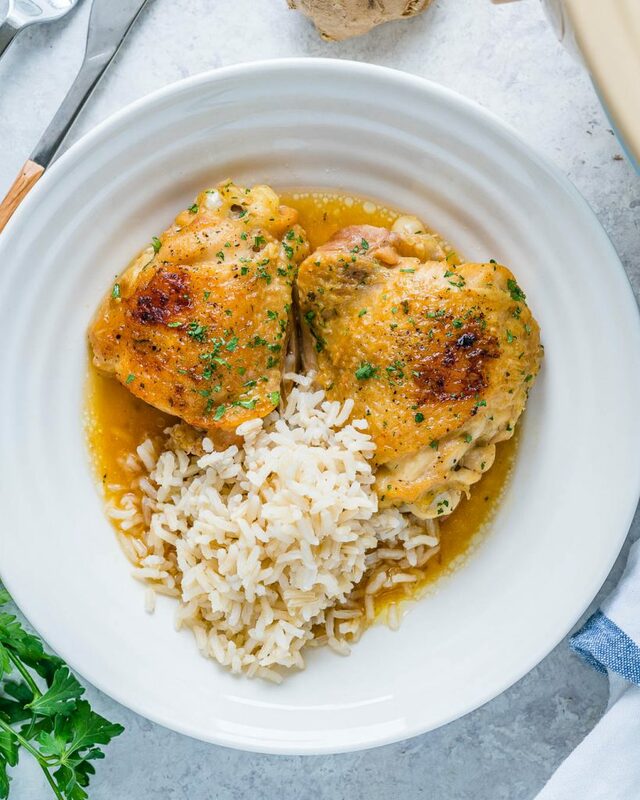 Once chicken is ready, serve with cooked brown rice, and garnish with parsley.